In the upper right corner is a map showing the regional faults from Noda (2013). 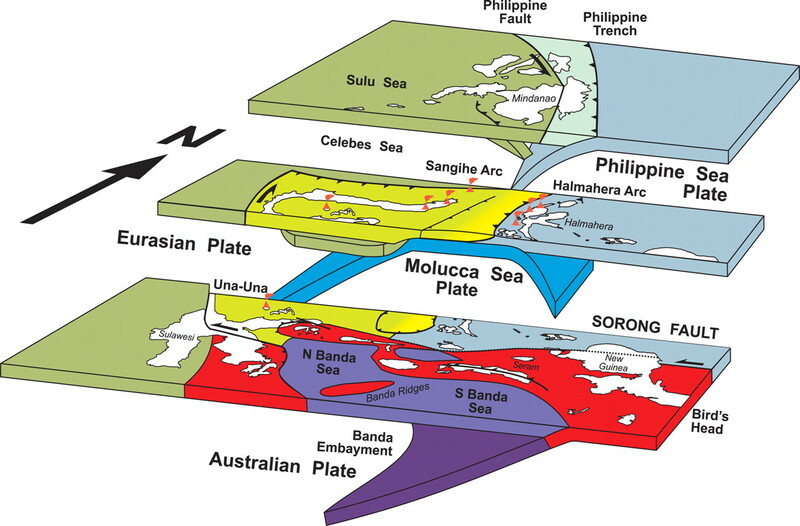 The Philippine and Sibuyan Sea faults are “forearc sliver” faults that accommodate oblique convergence between the Philippine Sea and Sunda plates. 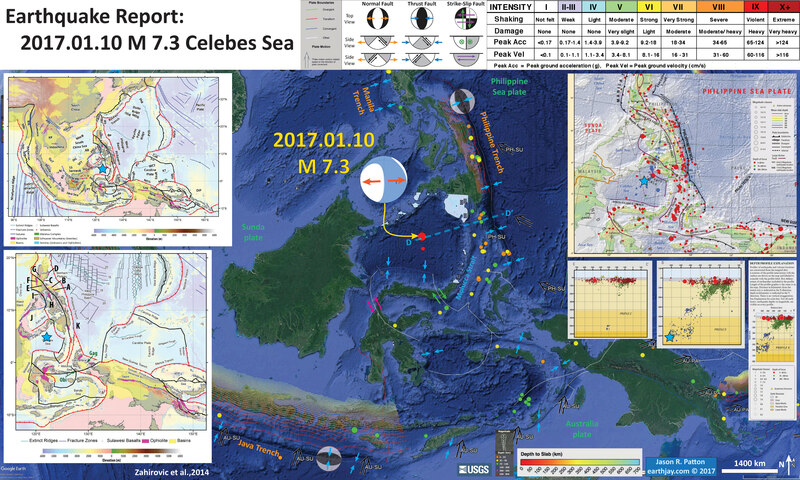 The M 5.9 epicenter is designated by a red star. 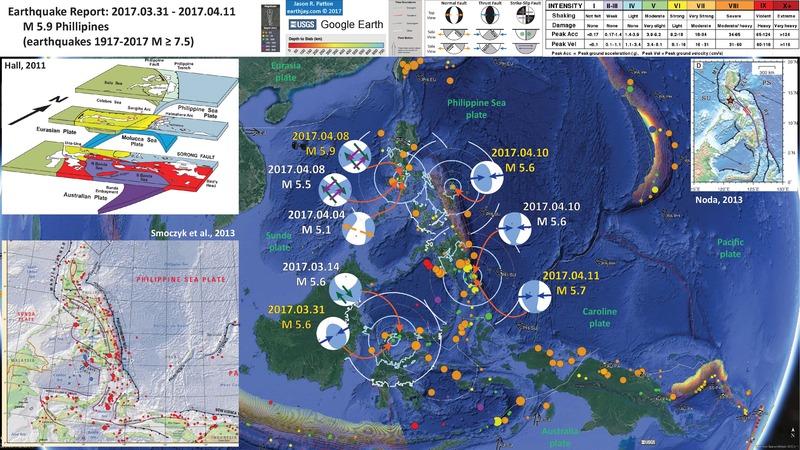 The Manila trench (MT; northernmost east-dipping subduction zone) and the Philippine trench (PT; easternmost west-dipping subduction zone) are major players here. The high velocity plate motion vectors (in mm/yr) show the relative plate motions and the possible source of hi frequency seismicity. Nelson, A.R., Personius, S.F., Rimando, R.E., Punongbayan, R.S., Tungol, N, Mirabueno, H., and Rasdas, A., 2000. 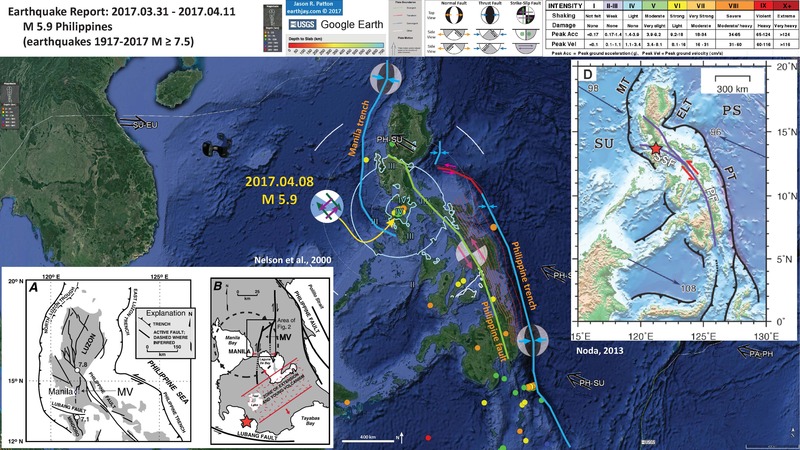 Multiple Large Earthquakes in the Past 1500 Years on a Fault in Metropolitan Manila, the Philippines in BSSA vol. 90, p. 73-85. The figure is very great! Could u tell me these figure was made by GMT? I use Google Earth and then export the map to Adobe Illustrator.